MyPaint is a well known graphics application; it is an open source project and works flawlessly on Microsoft Windows and Linux operating systems. It offers an easy to use, minimalistic user interface. 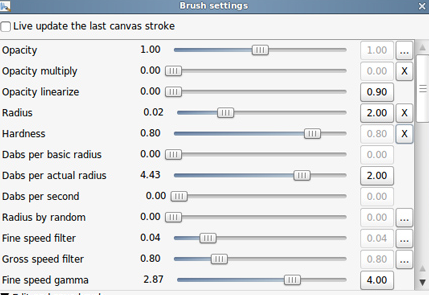 It provides unlimited canvas, awesome layer support and extensive brush configuration. It is most widely used raster graphic application for digital painters; it offers pressure sensitive graphic tablet support, dynamic brush library and is a highly extensible application. It uses OpenRaster file format by default, but it also supports PNG and JPEG file formats . Earlier it was using Adobe PSD file format but due to licensing issues, myPaint adopted OpenRaster. Recently MyPaint 1.1.0 has been released for both Windows and Linux Operating systems. Let’s see how we can install this new version on Ubuntu Linux distribution. In order to run this application on Ubuntu Linux, here are some of the pre-requisites (dependencies) that must be installed on your system. Let’s install all of these dependencies one by one. Run following commands on your ubuntu system terminal to install them. Alright, our ubuntu system is now all set to run MyPaint, Download the source file for myPaint latest version from following URL. Once the download process is complete, go to the download location and run following command to extract the downloaded file. Here run following command to install MyPaint. That’s it, wait for the command to finish; once done, run following command to launch your MyPaint app. MyPaint is simple, feature rich and lightweight application. It hardly consumes any resources on your computer system. Both Windows and Linux computer users find this a must-have app for their desktop.